ArpBud has two main sequencers: the interval sequencer and the pitch sequencer, with unlimited number of steps for both. 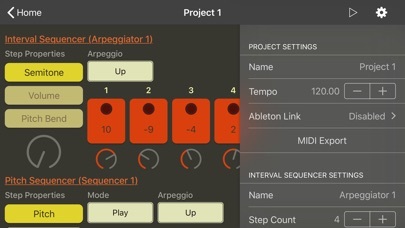 You can design your arpeggios by interval values in interval sequencer. And you can drive your arpeggios with a pitch sequencer by applying the pitch to each interval value of the interval sequence. 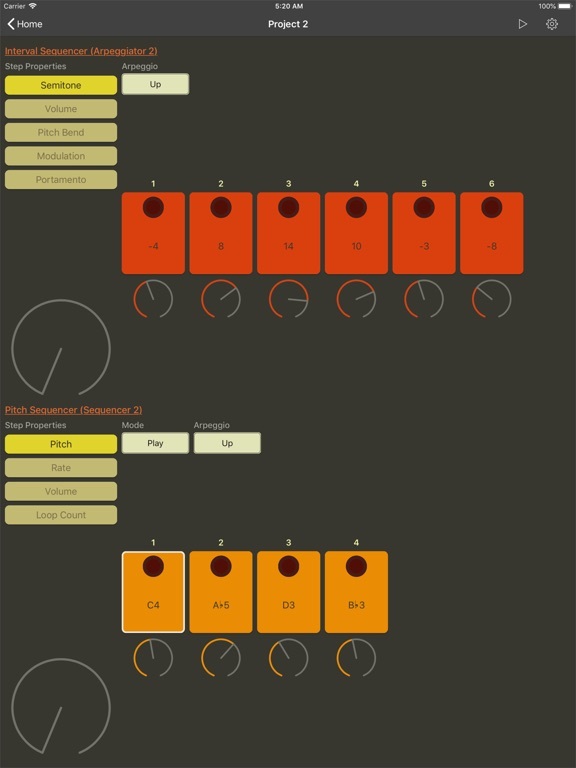 Every step of pitch sequencer has its own interval sequencer. So, you are free to work on a single arpeggio as well as multiple arpeggios. 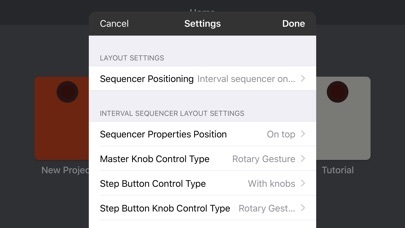 You can set the pitch bend, modulation and portamento MIDI control change values for interval sequencer steps. 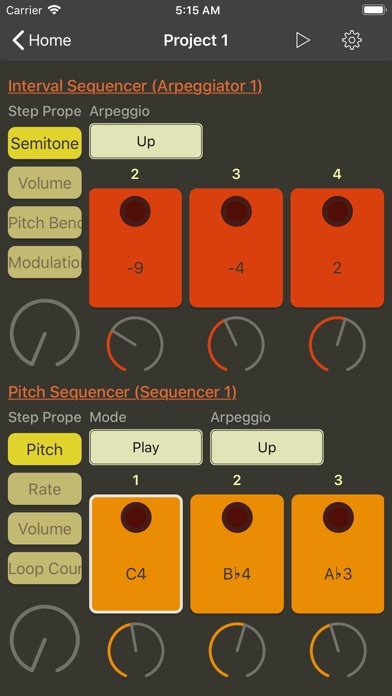 Also, you can set the rate, volume and loop count for each pitch sequencer step. You can copy/paste steps in between. And you can load other sequencers you have in your other projects. 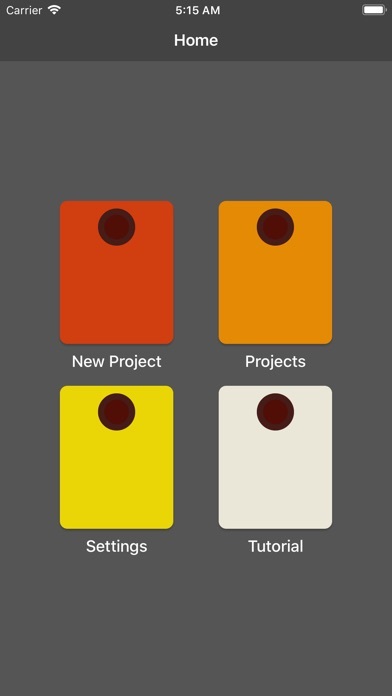 You can set the layout of your projects and set the behavior of the knobs, or touch control gestures from the settings menu. 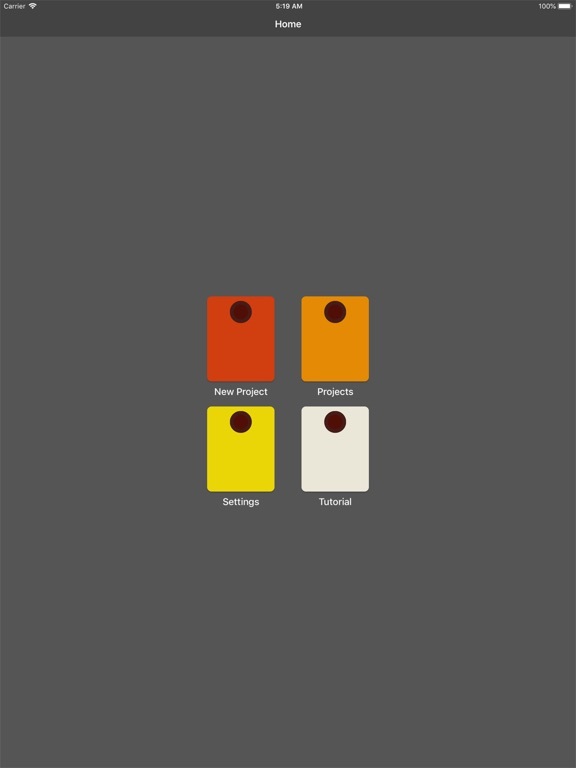 It works for every screen sizes of iPhones and iPads. 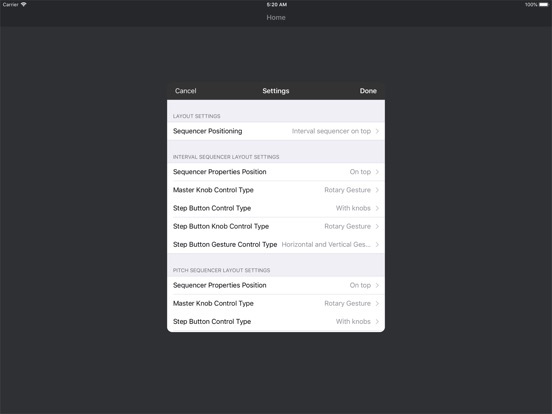 If you have an iPad user, you can take advantage of the split view feature and place both ArpBud and your audio MIDI app in one screen for working on them at the same time. 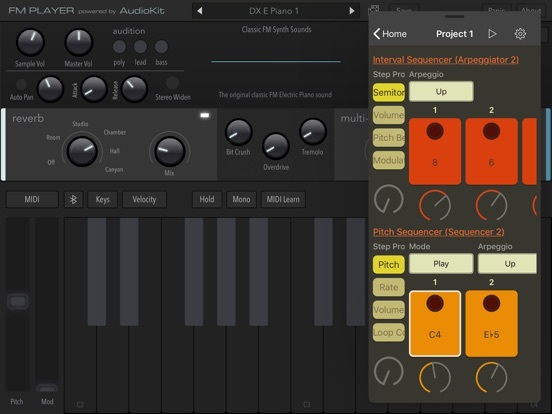 You can drive your favorite audio MIDI apps on your iOS or Mac/PC, like Garageband, Ableton Live, FMPlayer, Model 15 etc. 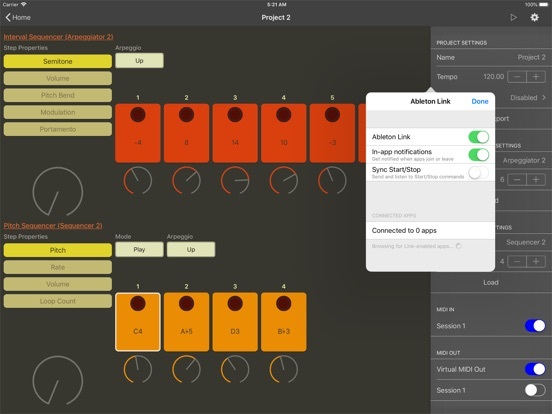 ArpBud also supports Audiobus MIDI, IAA and Ableton Link for fitting into your current workflow. 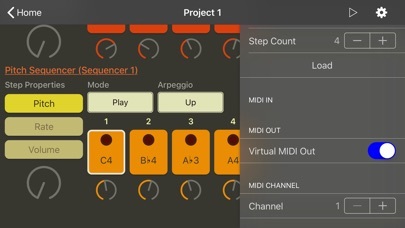 When you are not sequencing, if you have enabled any MIDI input (Audiobus MIDI app, connected hardware or other MIDI sending apps) for ArpBud, it will sequence the currently active interval sequencer for the playing MIDI input data. Also, ArpBud also offers its core-components open sourced on GitHub. Feel free to fork them, send a pull request to make it better, open an issue to share your ideas or give them a star if you like them. 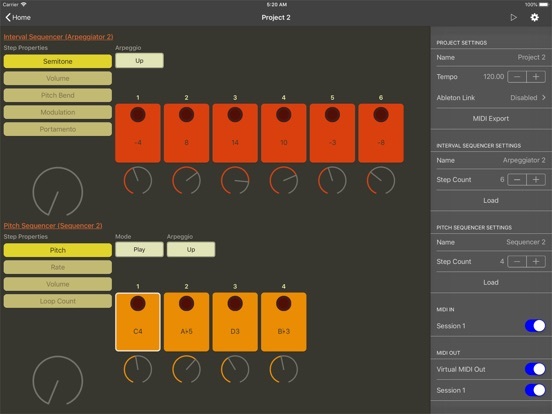 ArpBud's MIDI layer powered by free and open-source AudioKit.